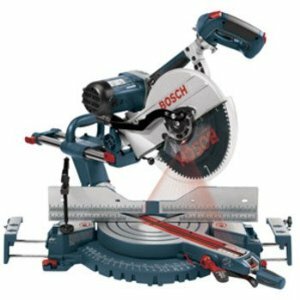 Are 12" Bosch Miter Saws A Good Choice for All Types of Woodworking? Find Out the Answer Now. 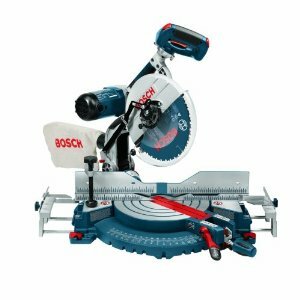 Like most other products from the Robert Bosch Tool Corporation, 12 Inch Bosch Miter Saws have carved a niche for themselves on the market. These saws come with a number of useful, innovative features which make them a good choice for both professionals and novices alike. These dual bevel slide miter saws are, in a sense, one of a kind as they are the only ones which have up front bevel controls. This is one of the important reasons why a lot of pros choose Bosch over other brands like Makita or DeWalt. 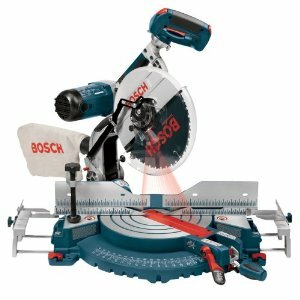 The arbor laser is a very useful addition to these 12 Inch Bosch Miter Saws . The laser beam, which is a very thin red line, comes on when you start the saw and helps you cut accurately. The multi position handle, which can be set to four different positions, is yet another innovative feature which is particularly helpful if you are a left hander. One of the important things which make these saws stand out from other types of saws is their user friendly features. The bevel and miter scales are easy to read thanks to the large print. The sliding mechanism is quite smooth and straight. The biggest disadvantage of these Bosch miter saws, according to a number of reviews, is the dust collection bag. It is made of a clumsy material which has big pores. As a result, the saw dust flies everywhere and makes your workspace messy. The 90 degree edges in the hold down clamp are pretty sharp and you need to be really careful while working. It would have been better if the manufacturers had put some kind of cover or guard around these edges. Yet another major disappointment with these saws is that they are not exactly fit for finishing work. They are, by design, primarily meant for framing work. This fact is not explicitly mentioned in most of the websites and hence a lot of carpenters who primarily do finishing work end up buying these saws. Some of the reviewers have mentioned that the miter detents tend to become a little wiggly after constant use. 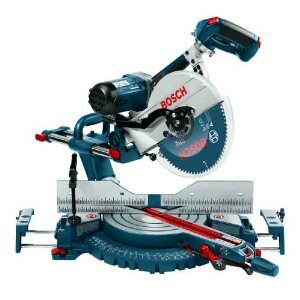 Unlike the 10" miter saws from Bosch, there are no micro adjustment features in these saws. Similarly, the 60-tooth blade offered with these saws is not good enough for any sort of finishing work. So, if you are into finishing work, you need to go for either an 80-tooth blade or a 96-tooth blade depending on your needs. 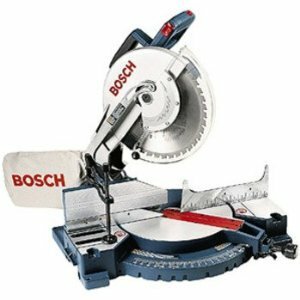 While 12 Inch Bosch Miter Saws have some really useful features, they are not good for finishing work. So, you can decide to buy them or not buy them depending on your needs only. Return From 12 Inch Bosch Miter Saws Page to Home.